There have been dwellings at Botelet since Domesday with the Tamblyns being perfect custodians for the last 150 years; the sense of timelessness in this deep country setting is inspiring. We talk to Tia and Richard about this unique and natural farm retreat nestled away in the South East Cornish countryside. How did you end up at Botelet? Richard has lived here all his life, his father was born in the farmhouse we live in, as was his grandfather who was born in the year it was built, 1884 (and lived here until he was 103!). Richard’s father, mother and sister Julie live in one side of the farmhouse, and we live in the other half with our three young children. Tia was drawn to Cornwall about twelve years ago, and has been at Botelet for almost 10. Tia works alongside Richard and Julie with the accommodation, farm and Botelet, as well as having a massage treatment room at the farm. What is the history of the farm? Botelet was an in-land Manor as part of the Trelawney estate that stretched from Bury Down hill fort down to the coast. The Tamblyns have been farming here since 1860, primarily sheep and cattle, with David (Richard’s father) specialising in breeding Charolais bulls; he was the first person in Cornwall to do so. The family sold the majority of the livestock in the late 1980’s as the focus shifted from animal husbandry to working on restoration and upkeep. The land is farmed gently; we are part of the Environmental Stewardship Scheme which supports farming without using pesticides or fertilisers. The focus is on resting the land over the winter, restoring and protecting historical features such as hedges and culverts, and planting to promote biodiversity. We welcome local school groups to visit the farm and learn about the wildlife and history, a highlight of trips is visiting Bury Down iron age hill fort which has fantastic views down to West Cornwall and up to Dartmoor on a clear day. How do you restore and evolve Botelet into the feel good retreat it is today? The evolution of Botelet has been a lifetime’s project for Richard, taking place over many years as he works slowly on different spaces. The Manor house was renovated to become a self-catering cottage in the early 1980s, along with a second cottage just down the lane. Richard and Julie’s grandmother began doing B&B in the farmhouse in the 1930s, their mother Barbara followed on with a spell of B&B in the 1960s and after Richard re-styled the farmhouse in the ‘90s, it was re-opened as a B&B. Yurts first made an appearance at Botelet about twenty years ago, and the emphasis has been on keeping things small and gentle, maintaining many of the historic farm buildings in their natural state rather than converting them. Where possible, Richard uses materials from the farm when building and restoring – such as stones that have been hand-picked from the fields, old doors or flooring materials. The aim where possible is to protect and leave in place the materials that are already here, respecting their heritage and superior quality through gentle repair. Something that is nearly gone is often the nicest thing to look at, but requires patient and ongoing work. What inspires the evolution of Botelet today? It is important for things to evolve slowly, to look and adapt while working. That’s a benefit for Richard of working on his own, being able to change the plan as he goes and see how something looks, fits and feels before making it permanent. Respecting the heritage of the place – the buildings and natural landscape – is fundamental, making the place feel whole and not over-focusing on one area, not losing sight of the bigger picture. Timeless functionality inspires Botelet’s style, keeping things simple and not trying to do too much to a space. Eclectic touches have been inspired by world travels, and overall trying to create a space which is gentle on the eye is the ongoing inspiration. Richard is never happier than when a room is pared back so that it echoes – more of a challenge in recent years with three young children in the house! Where are you favourite places to escape and explore near Botelet? We are so lucky to be situated a few miles from the quiet south-east coast of Cornwall with lots of fabulous little coves. We are both keen swimmers, and love pottering at local beaches with the children, buckets and spades in hand. It’s hard to beat a sun-down walk up to Bury Down hill fort on the farm, to energise and blow away the cobwebs, walking round the ramparts and retracing the steps of previous inhabitants from around 4,000 years ago. 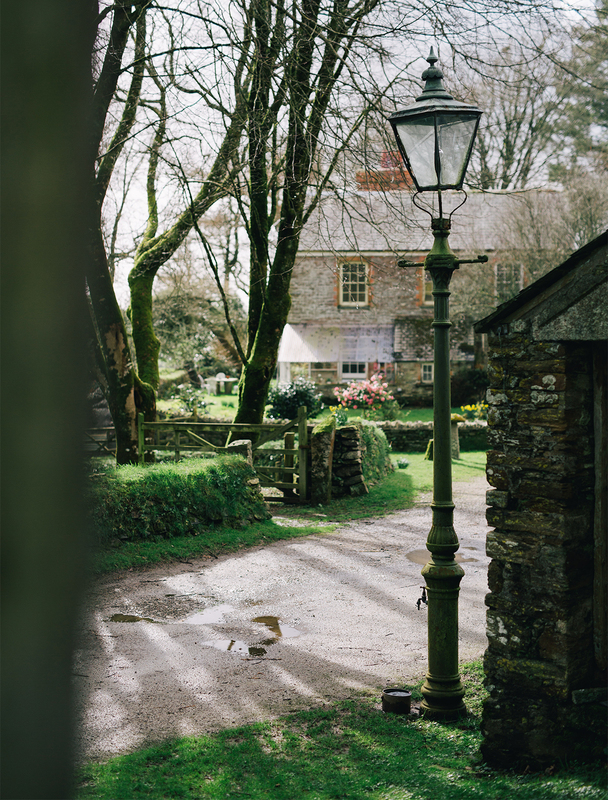 Further afield, we often head to West Cornwall for short breaks away, the Lizard is a particular family favourite, and you can’t beat a drive home via the rugged Penwith peninsula and St Just. Find out more about Botelet here. I loved reading about Botelet. My mother was Lenore Northey, she spoke so much about what she could remember about the farm. I would love to see more pictures of the area.